Location: Croatia extends from the furthest eastern edges of the Alps in the north-west to the Pannonian lowlands and the banks of the Danube in the east. Its central region is covered by the Dinara mountain range, and its southern parts extend to the coast of the Adriatic Sea. Surface: The mainland covers 56.542 km2, and the surface of the territorial sea is 31.067 km2. Population: 4.437.460 inhabitants. The majority of the populations are Croats; national minorities are Serbs, Slovenes, Hungarians, Bosnians, Italians, Czechs and others. Government: Croatia is multi-party parliamentary republic. The capital of Croatia is Zagreb (779.145 inhabitants). Coastline: The length of coastline is 5.835 km of which 4.058 km comprise a coastline of islands, solitary rocks and reefs. 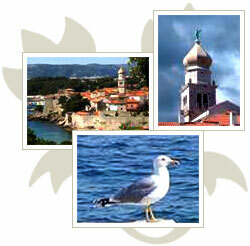 Islands: The total number of islands, solitary rocks and reefs is 1.185; the largest islands are Krk and Cres. There are 50 inhabited islands. Sailing is the best way to explore Croatian islands and the coast - Sailing Europe offers yacht charter and has some wonderful pre-planned or tailor made routes. Climate: There are three climate zones: a temperate continental climate prevails inland, whereas a pleasant Mediterranean climate prevails along the Adriatic coast. A mountainous climate prevails in the mountain area of Croatia. Coastal climate features dry and hot summers, mild and humid winters with an overwhelming number of sunny days. Average temperatures at the seaside: January 6 to 11°C, August 21 to 27 °C. 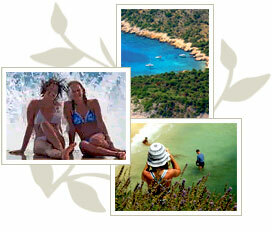 With regards to swimming, the sea at the Croatian Adriatic is of high quality, again according to E.U. criteria. Currency: Croatian currency is Kuna (1 Kuna = 100 lipa). Foreign currency can be exchanged in banks, exchange offices, post offices, travel agencies, hotels, camps, marinas. Hotels, most restaurants and shops accept all major credit cards (Eurocard/Mastercard, American Express, Diners and Visa). Accessing cash from ATMs is possible in almost all towns, cities and tourist centers; almost all ATMs accept Eurocard/Mastercard, Diners, American Express and Visa. Shopping: Most shops are open from 8 a.m. until 8 p.m. on weekdays and until 2 or 3 p.m. on Saturdays. Many shops stay open until 10 p.m., even on Sundays, especially in summer. Office working hours: Public services and business offices work from 8 a.m. until 3 p.m., Mondays to Fridays. Travel documents: A valid passport or some other identification document recognized by international agreement. For certain countries a personal identity card is sufficient (i.e. a document which testifies to the identity and citizenship of the bearer). Places of interest: Apart from Krk Island, other places of interest in Croatia not to be missed are National Park Plitvice Lakes, old town of Trogir, Istrian town Rovinj, Split's Diocletian Palace, and of course the pearl of Adriatic - the old walled city of Dubrovnik.